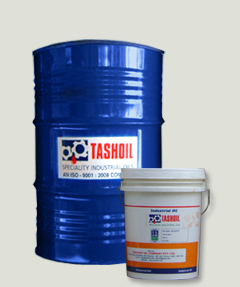 Neat Cutting Oil :: Tashoil Company Pvt. Ltd.
TASHCUT grade oils are straight (Neat or Direct) cutting oils. These are made from high quality, highly refined lubricating oil base stocks to which are blended special additives of sulphur, fat in unique combinations. These additives help in retaining oil film even at high temperatures and high speed and hence gives precise finish to the parts. Cutting oils are intended for lubrication and cooling of metal surfaces during metal cutting operations. Straight (Neat) cutting oils are to be distinguished from soluble cutting oils in that the former is immiscible with water and also they are applied wherever lubrication is of prime than cooling. In order to have better lubricating properties even at high speeds and high temperatures additives are added. Have better EP characteristics than TASHCUT D 15 A but relatively less non-staining. Mineral Oil with chlorinated additve. These grades are further classified depending upon the amount of additves are added and viscosity of oil. Optimum solution for both EP and non-staining characteristics two grades depending upon viscosity. Characteristics two grades depending upon viscosity. These grades contain staining type EP additives and therefore not suitable for non - ferrous metals. Recommended for use with Ferrous metals and alloy steels in various heavy duty machining operations like broaching, gear cutting and thread grinding operations. Three grades depending upon amount of the additives added. TASHCUT D 31 C being the most heavy duty type.